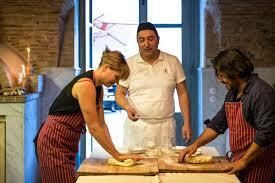 Our lessons with expert Chef in the rock hewn church dining area will satisfy your tastebuds and your soul. 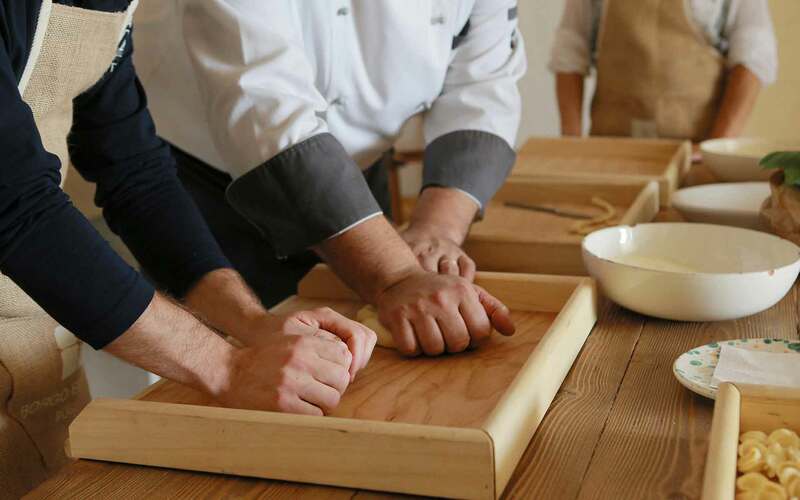 You will learn the ancient art of handmade pasta and discover authentic traditional Lucanian recipes to accompany your creations. 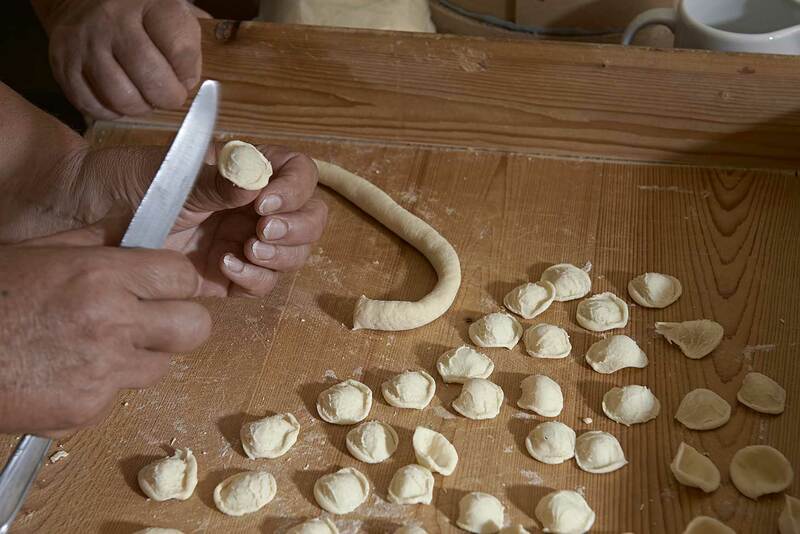 Cavatelli, Orecchiette and Calzoni are just some of the typical dishes you will prepare and taste during your time with Chef Coretti.